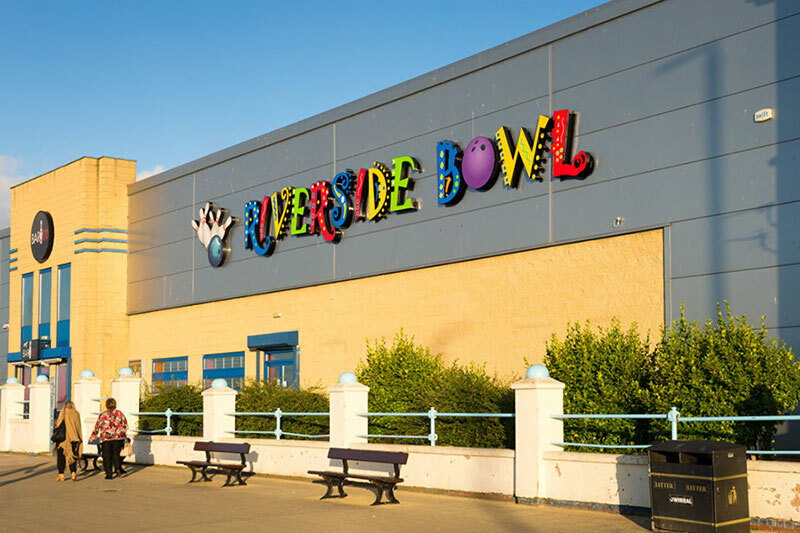 An unusual 3D LED lit lettering challenge at Riverside Bowl, New Brighton. 4ft high letters manufactured to shape with translucent vinyl details applied to opal acrylic faces. 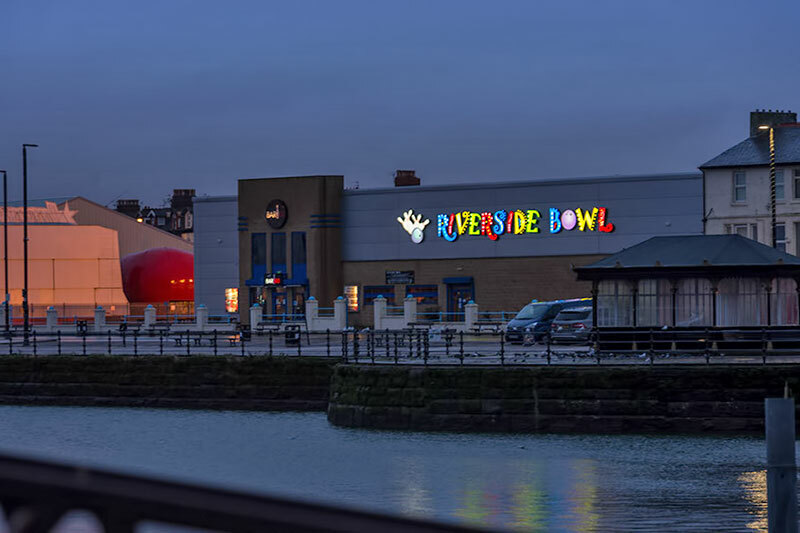 The vivid illumination can be seen from afar as crosby beach. 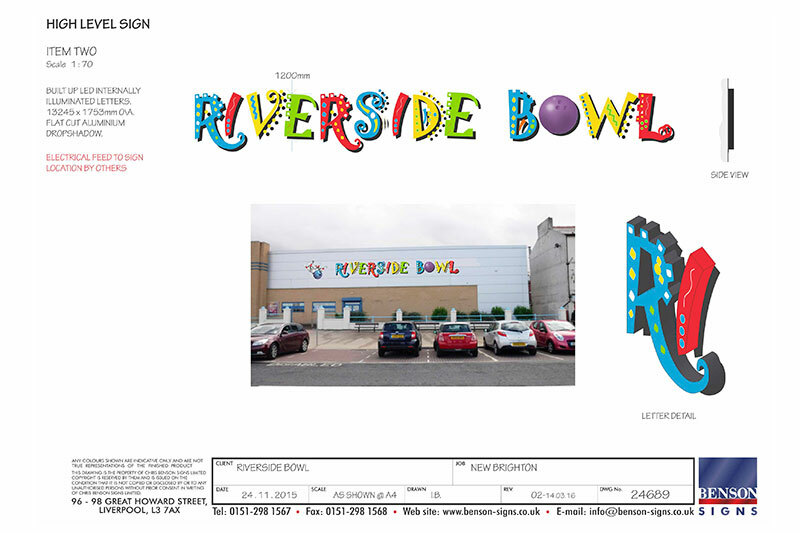 We are pleased to say the client was very happy with the result. 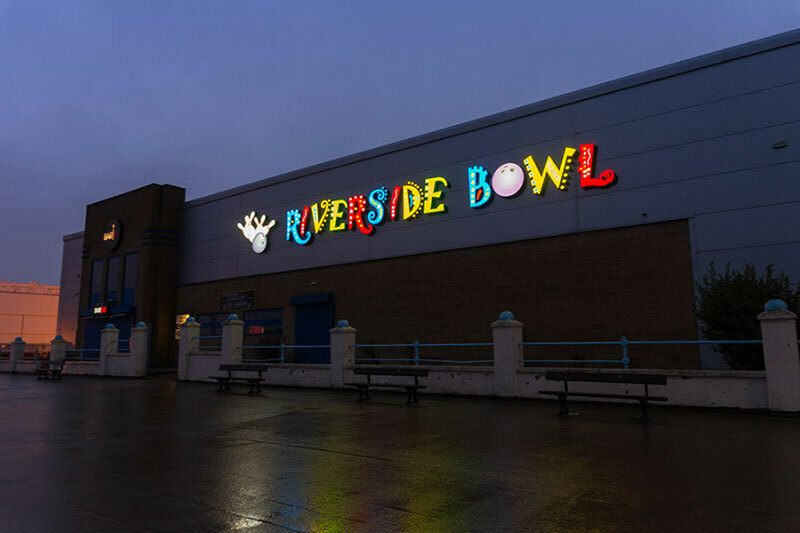 4ft high, 3D LED Illuminated letters manufactured to shape for New Brighton bowling venue.